Minnesota Pictures: Minnesota Photos that define the northstar state: Loud Moondog fans! Mankato, MN has much more to offer than a mere three-week stint of the Minnesota Vikings bringing their Brett Favre drama to town. The southern Minnesota city is also home to the Mankato Moondogs baseball team. 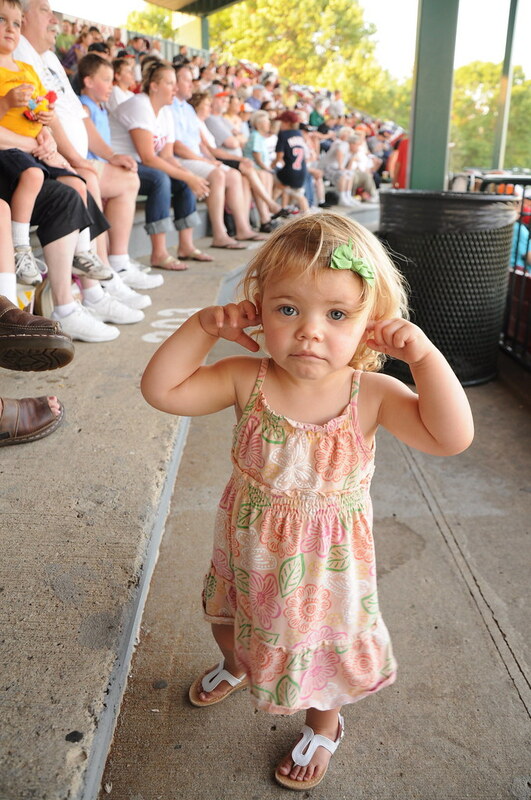 I'd classify them as town ball but this toddler's face says it all, even town ball crowds can get loud.